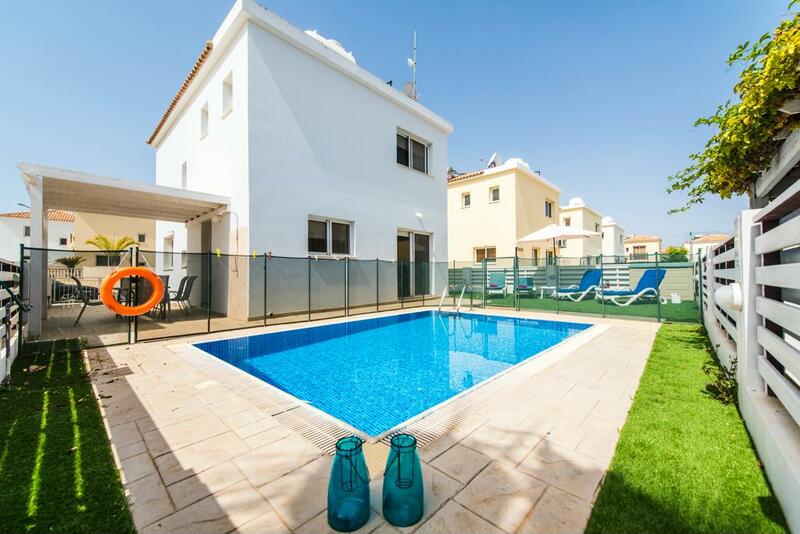 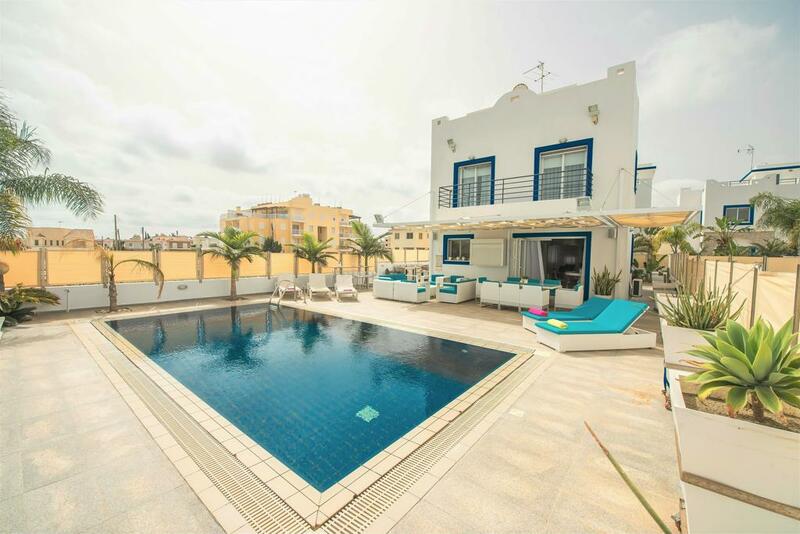 This beautiful villa features an open plan ground floor consisting of living room, dining room and kitchen with all necessary kitchen wares. 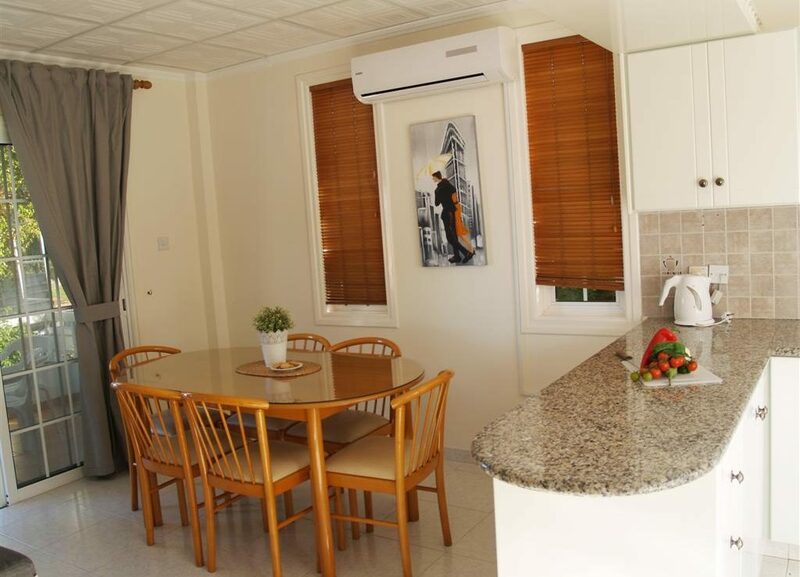 The dining area consists of a dining table with sitting for 6 persons and the living area has been tastefully furnished with comfortable sofas as well as a coffee table and a Flat Screen TV. 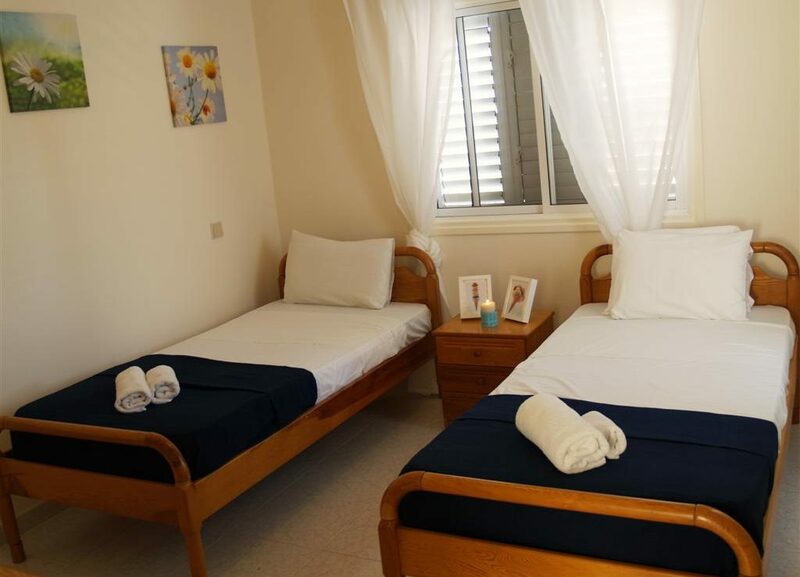 On the first floor, the main bedroom consists of one double bed and the second bedroom consists of two single beds with built-in wardrobes and bed side cabinets for your convenience. 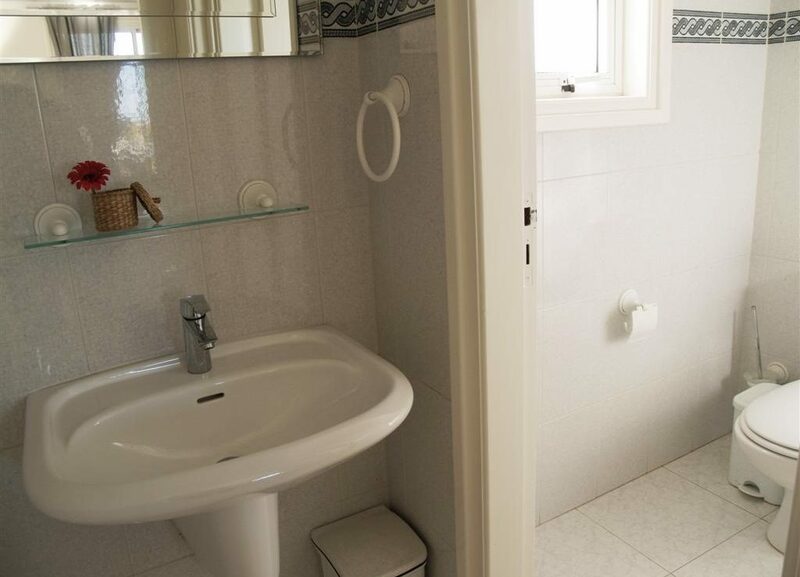 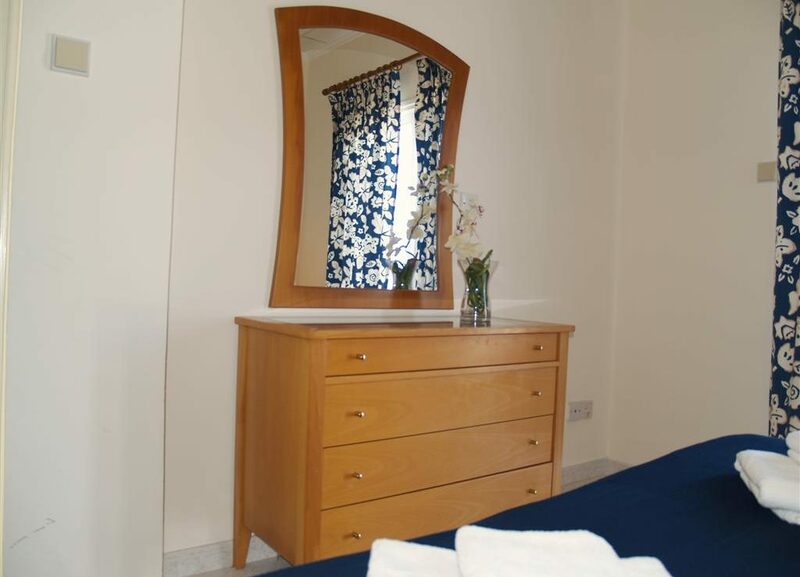 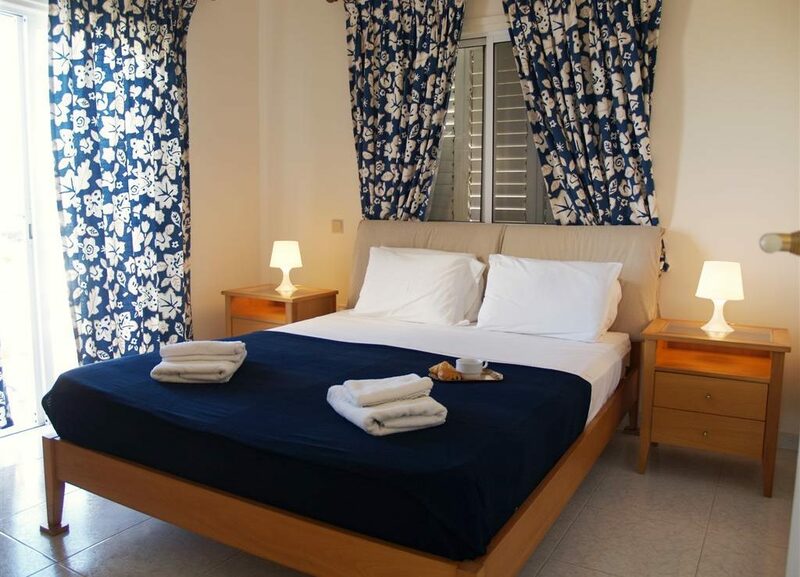 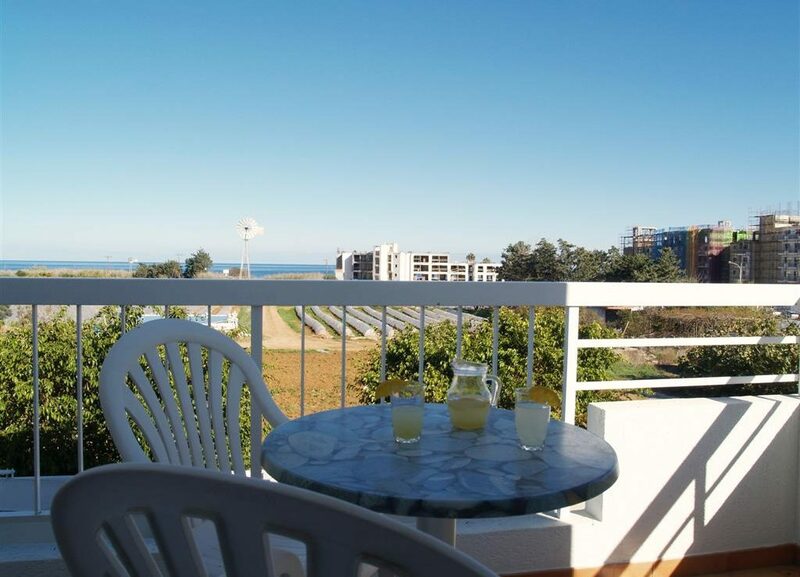 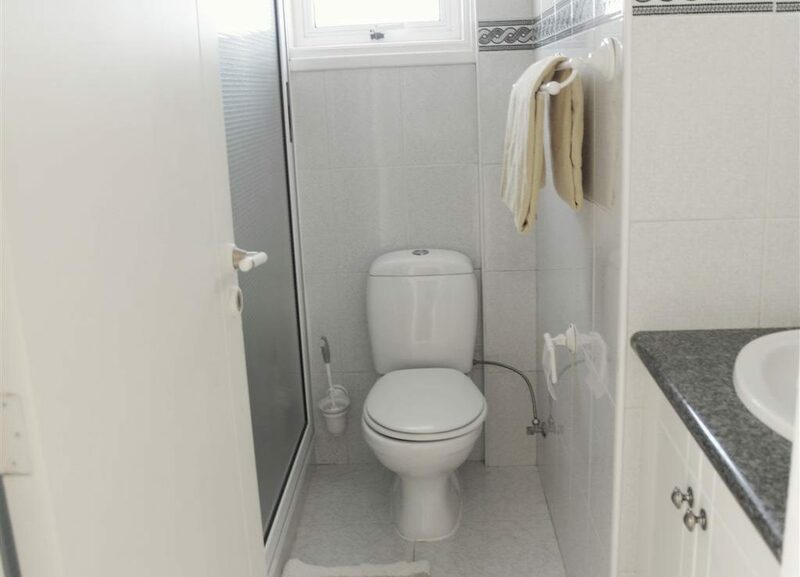 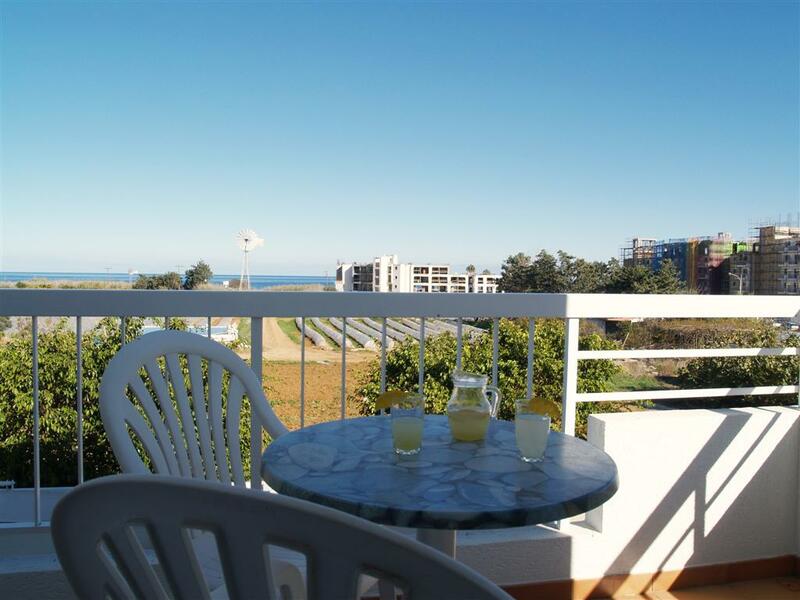 The bedrooms share a family bathroom and a balcony to relax and enjoy the sea view. 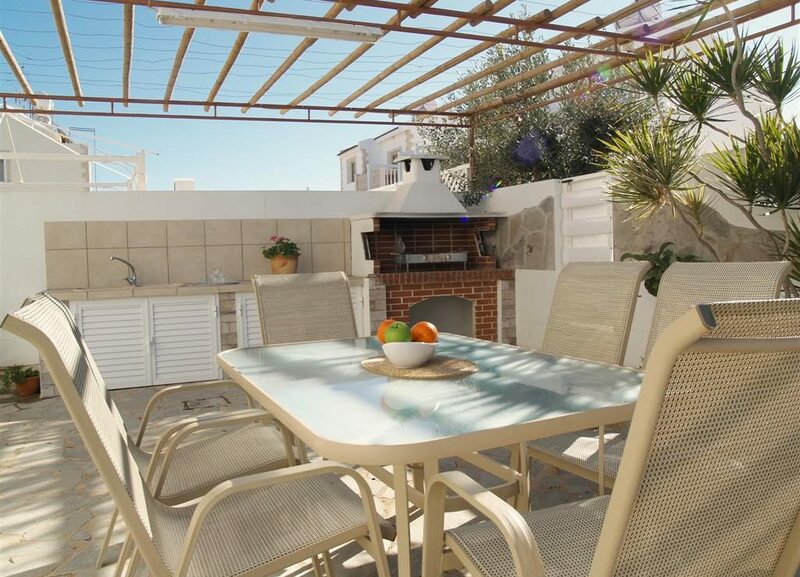 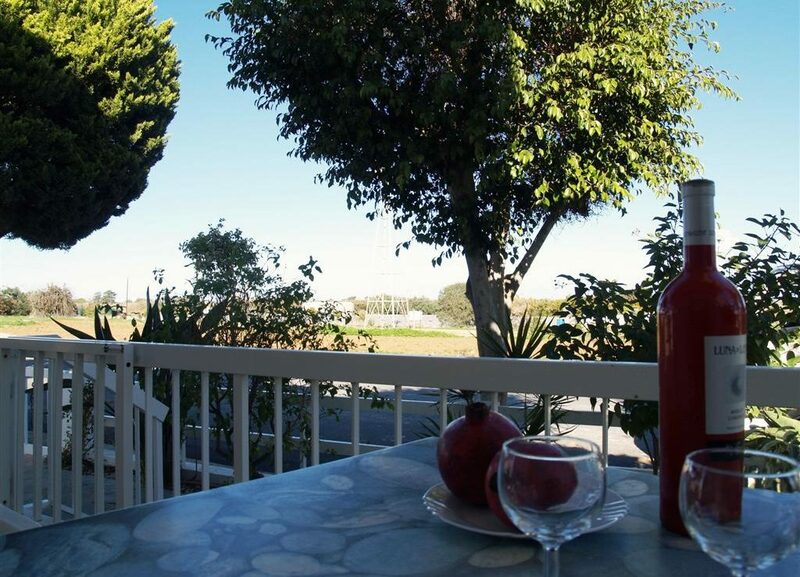 The front patio has a table and chairs where you can relax with a glass of wine and the back patio has a dining table where all the family can eat food cooked on the BBQ under the clear skies. 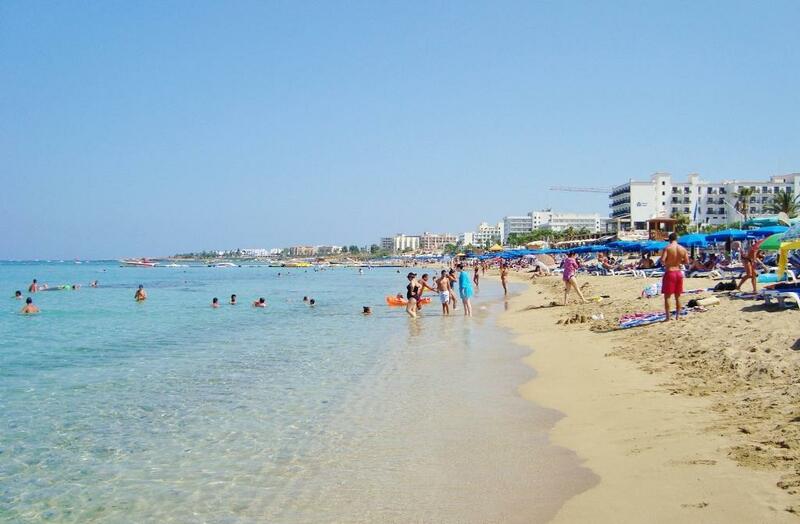 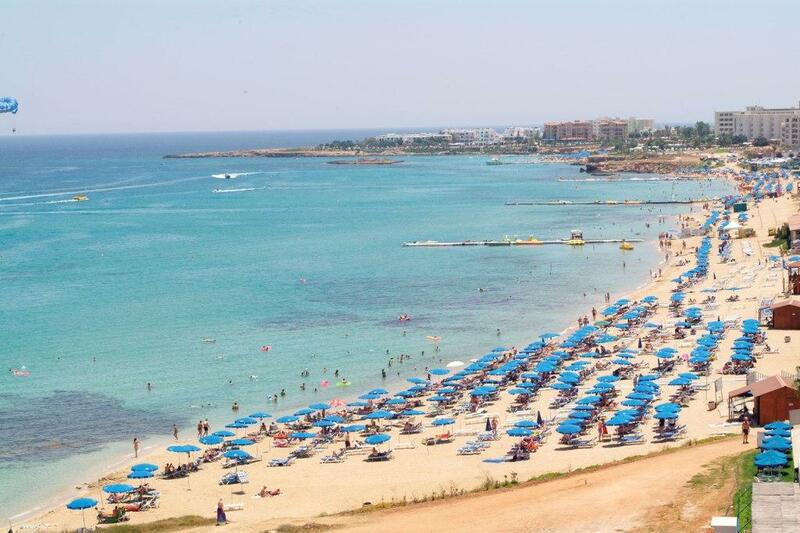 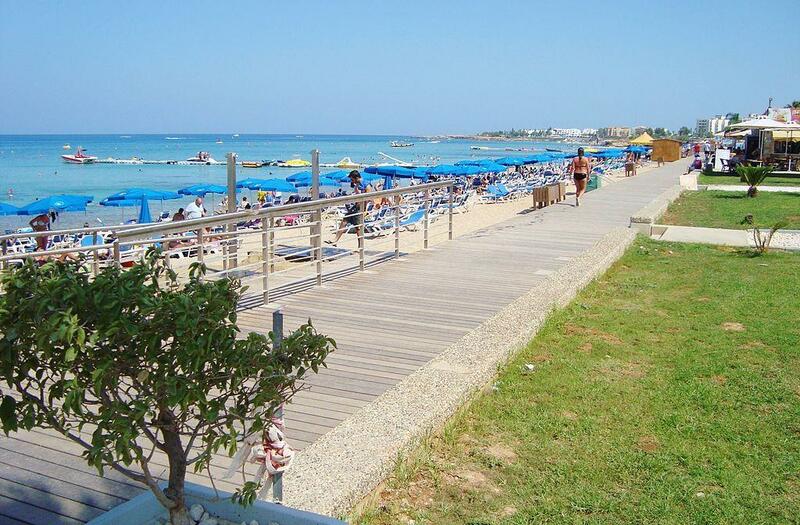 Sunbeds are provided for tanning and relaxing under the Cyprus sun. 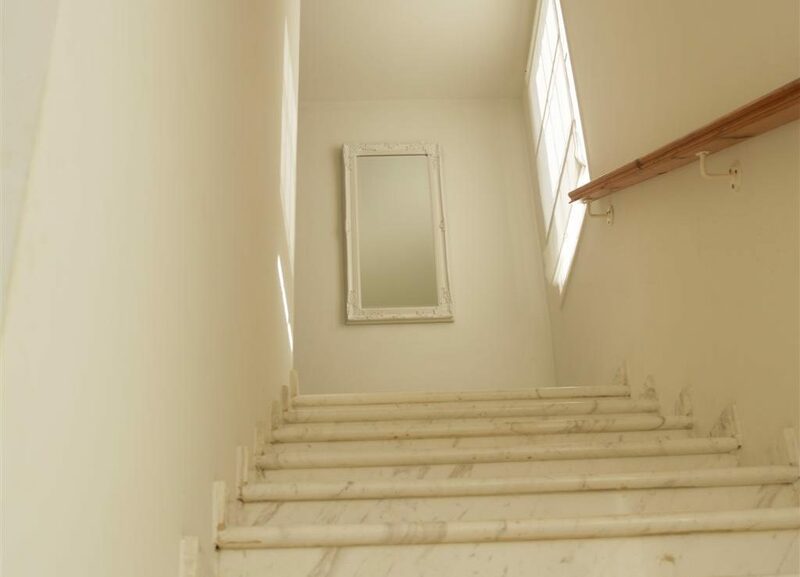 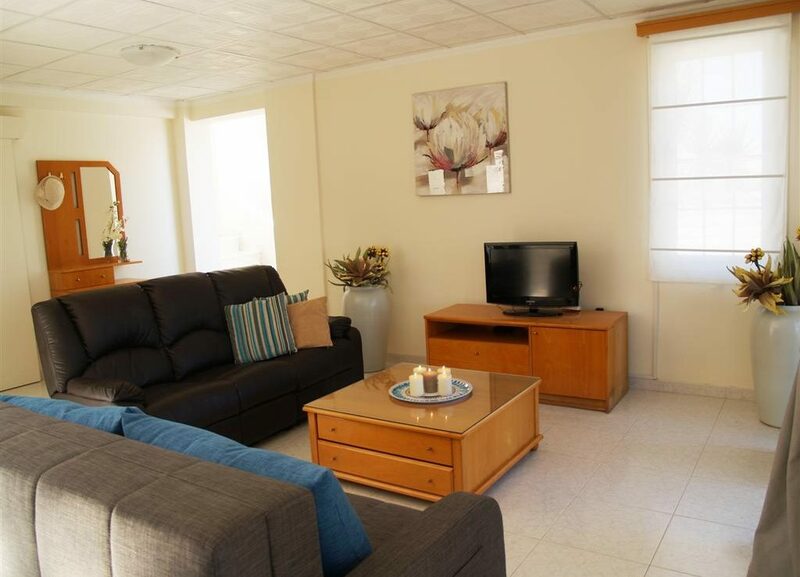 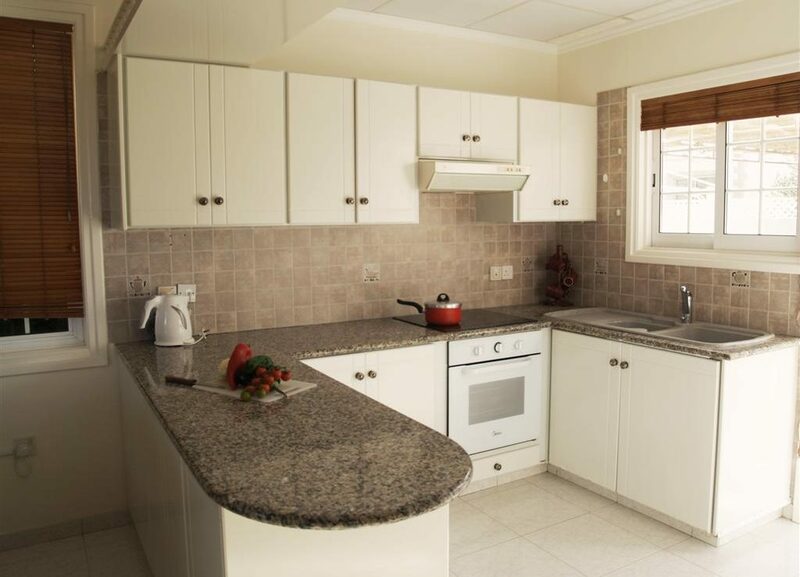 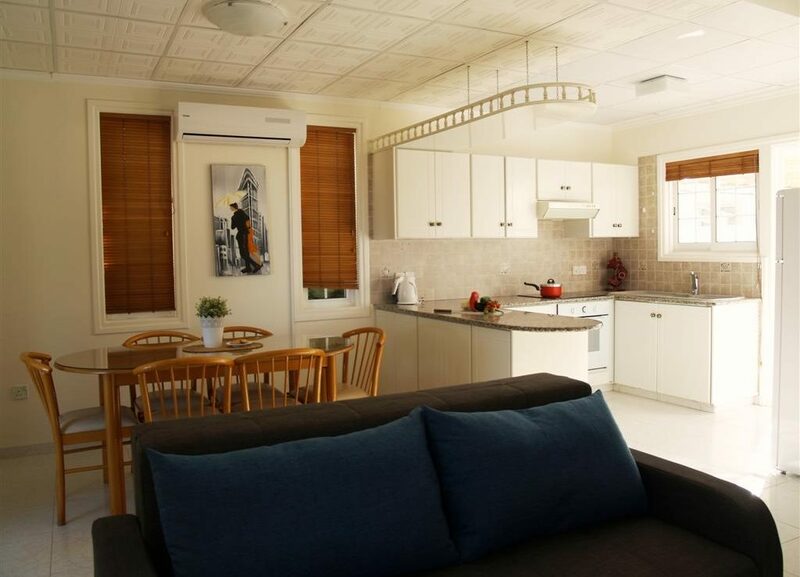 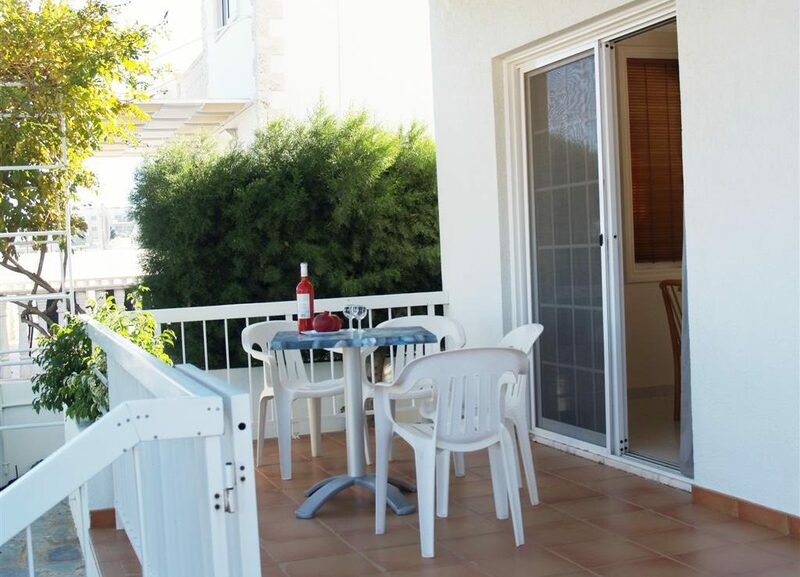 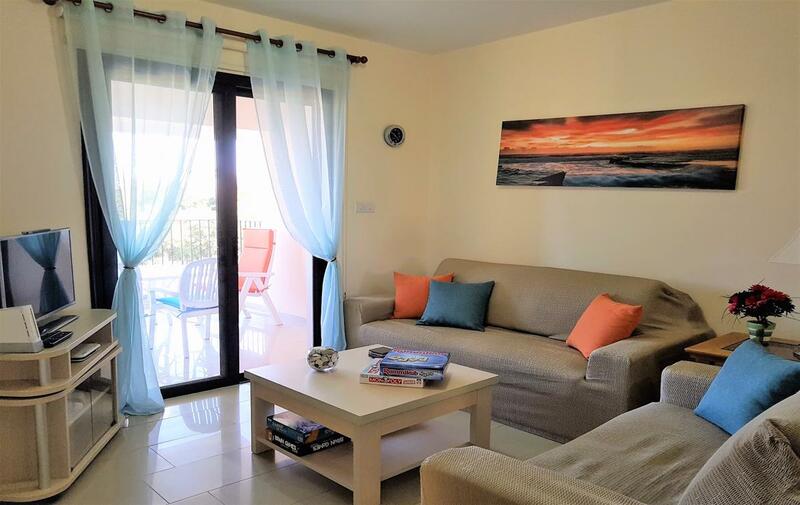 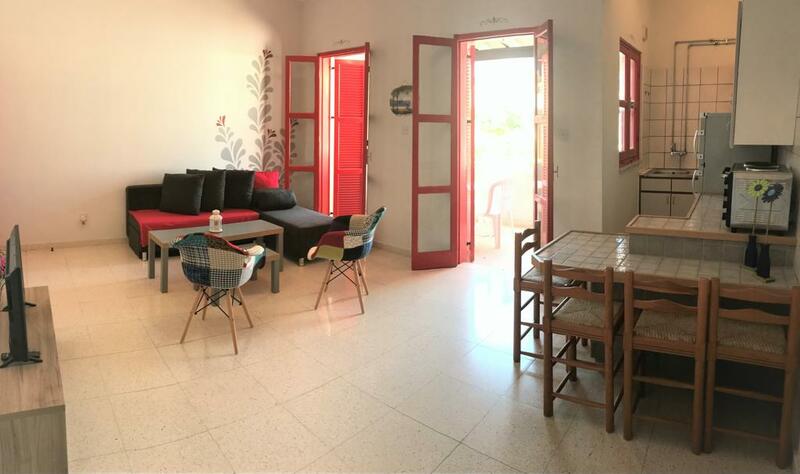 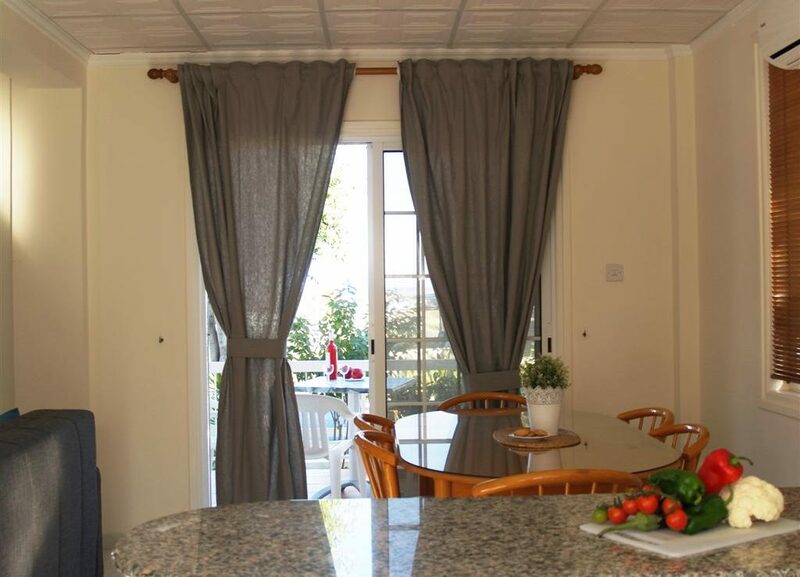 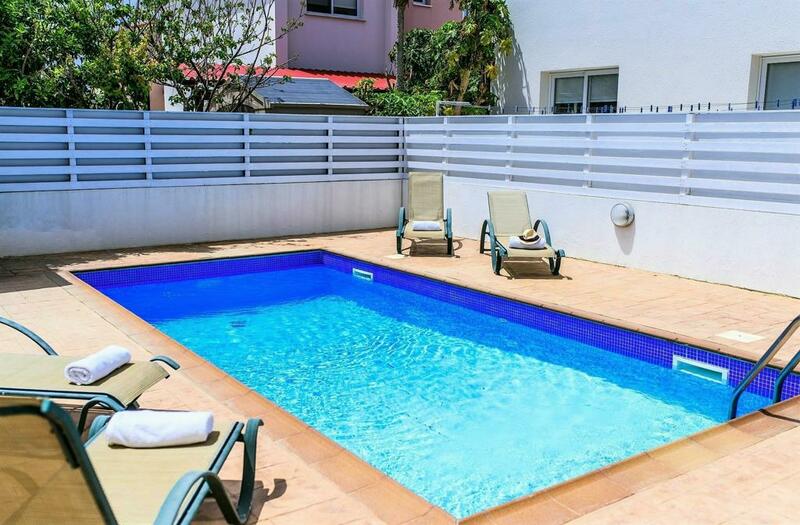 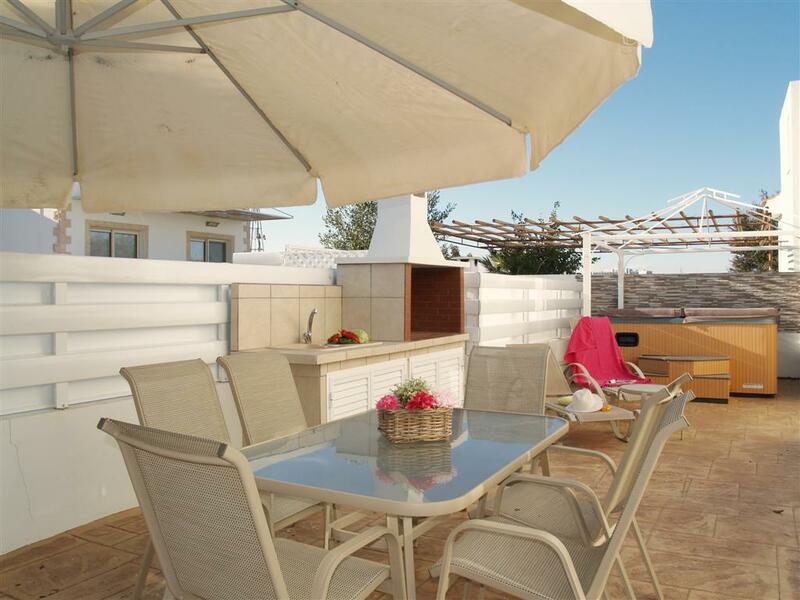 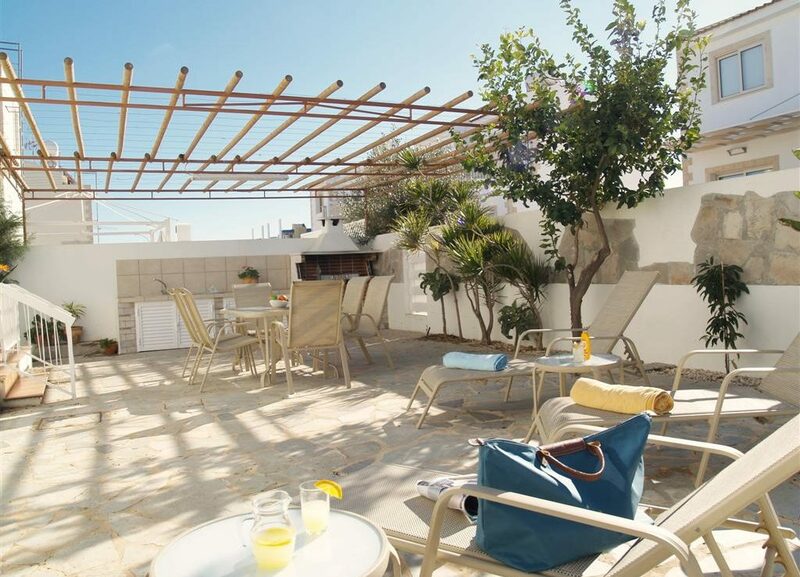 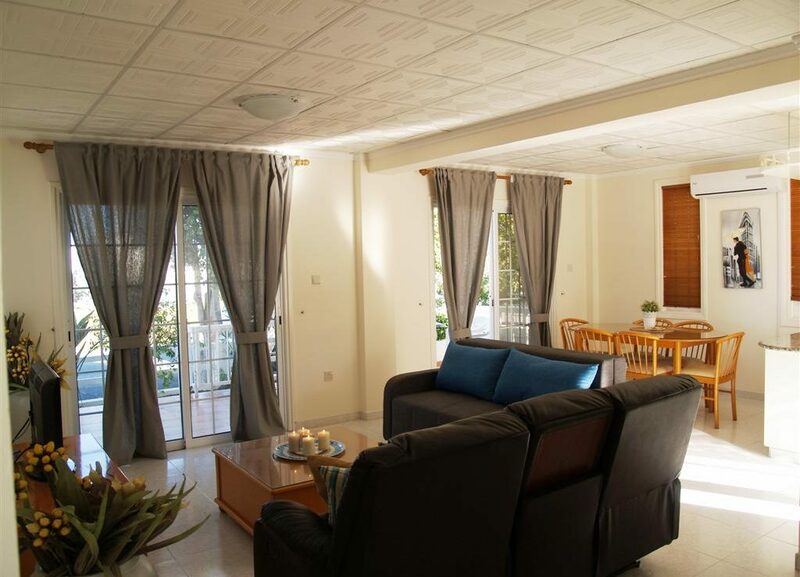 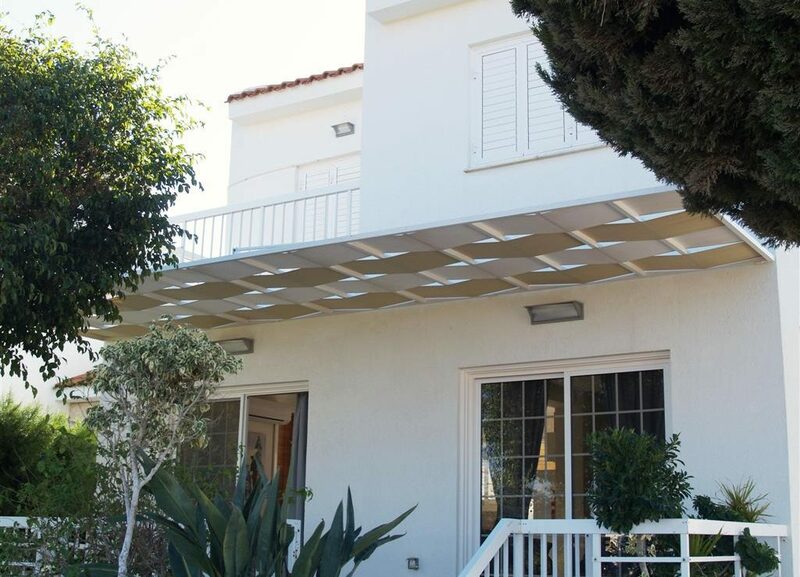 The Villa is located in Protaras within walking distance of Protaras main strip, one of the most populate tourist areas in Cyprus providing all amenities and only few steps away from the famous Golden Sandy beaches of Protaras.